Hot on the heels of Norwegian Breakaway’s arrival to the Big Apple and weeks after Royal Caribbean announced that Quantum of the Seas would be based nearby in Bayonne, New Jersey, it seems Royal Princess will also be calling New York home – for a short while at least. Slated to arrive in the Northern Hemisphere autumn of 2014, the 3,560-passenger vessel heralds the launch of a new series of ships for the line. She will sail on four seven-night Canada and New England voyages out of New York calling into: Boston; Bar Harbor; Maine; Newport; Halifax; and Saint John. 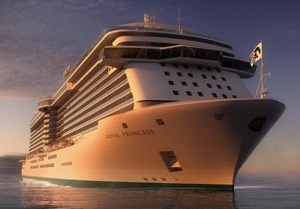 Royal Princess is slated to launch next month complete with a host of innovative features.